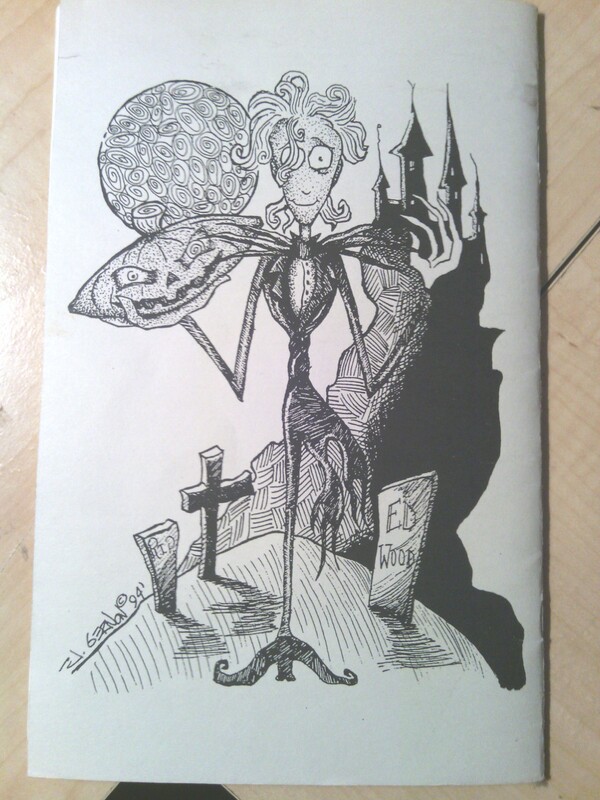 The Tim Burton Fanzine, Issue 2! 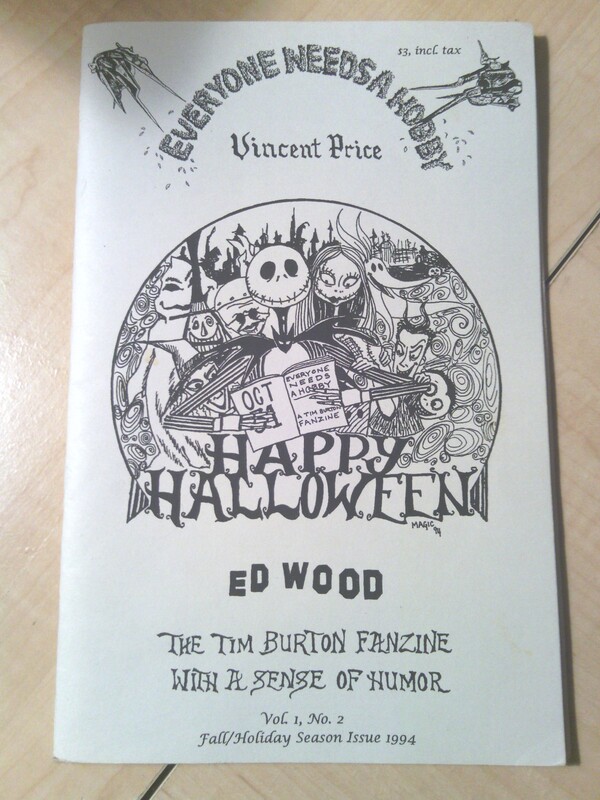 It’s time again to take a look at another issue of Everyone Needs a Hobby: The Tim Burton Fanzine with a Sense of Humor. This time it’s Vol. 1, No. 2 – The Fall/Holiday Season Issue from 1994. As far as I know, there never was a 2nd volume. I own three issues of this and like I said when I reviewed the first issue, all three just magically appeared in my possession somehow and I have no memory of how they got there. As embarrassing as it is to admit, I was so a Timmy back in high school. 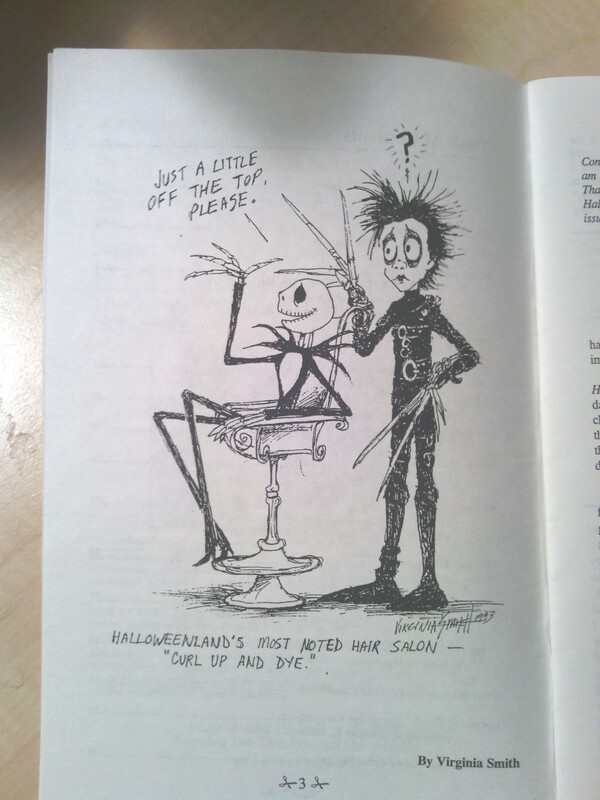 I even remember drawing pictures of Edward Scissorhands in everyone’s yearbook one year. The whole thing is just entirely unfortunate. It’s written by the man himself and displays his love for Vincent Price films, which is no secret to anyone who knows anything about him. 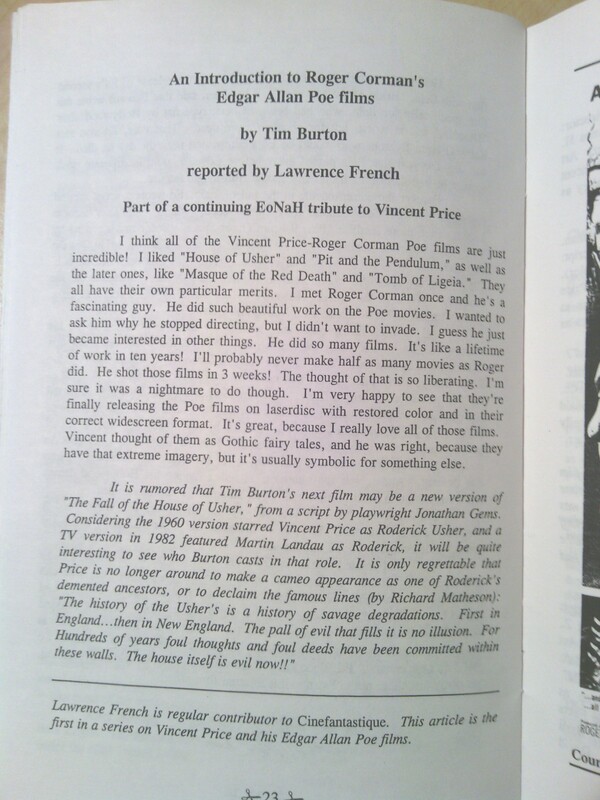 But, the real standout here is the note at the bottom discussing the rumor that he’d be making an adaption of “The Fall of the House of Usher”. It’s not the only time in the issue when that’s mentioned. Obviously, that didn’t happen, but I’m surprised he hasn’t tackled something Poe and/or Price related by now. But fear not! After we suffer through another Alice in Wonderland film (scheduled for 2016), the sequel to Beetlejuice is coming right behind and I can’t think of many things coming up in the next few years that have me so incredibly jazzed. Now, let’s just see how much of the original cast we can get to show up. Of course, if so, they’ll have a little ‘splainin’ to do. Apparently, ghosts age quite a bit. I wonder if Otho is currently in the waiting room, holding a long number. R.I.P., Round Boy. Alright, let’s get to the REAL reason why you came. THE POETRY PAGE! This time, we’re treated to two. As with the last issue, the first one is essentially an ode to being so incredibly goth that If I still had long hair, I would have brushed it away from my face in a most dramatic fashion as I read it. And finally, let’s check out the back cover. It’s a little cartoon of what I assume is supposed to be Ed Wood’s head on the body of Jack Skellington, carrying the head of what appears to be Stewie from The Family Guy after he got transformed into a pumpkin demon. Let’s just stop right here. 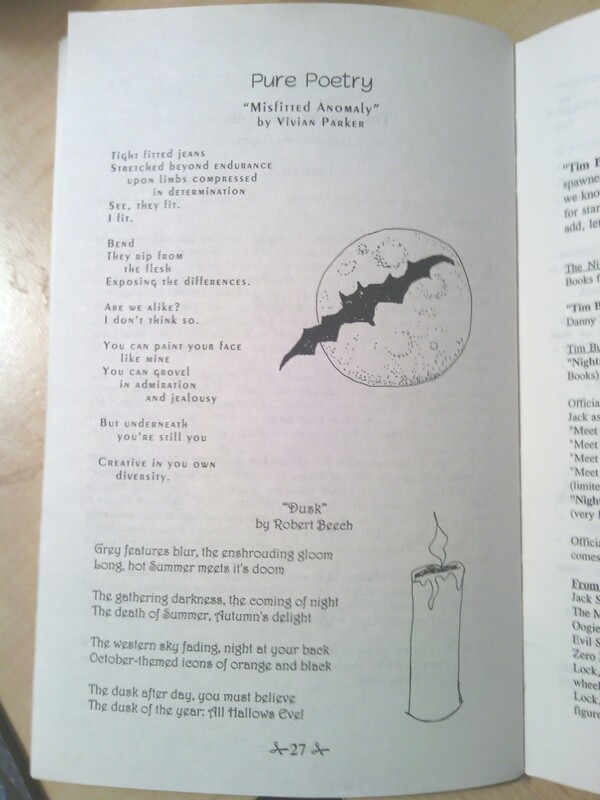 Thanks for reading and helping me to celebrate Halloween in 1994.